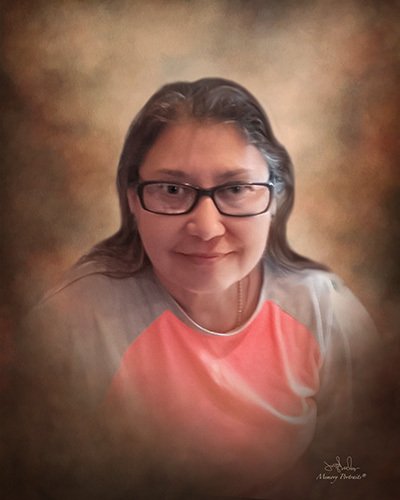 Maria Garcia Ayala, 64, went to be with the Lord on March 20, 2019. Maria was born on September 29, 1954, to parents Guadalupe L. and Guadalupe C. Garcia in Aransas Pass,TX. Maria is preceded in death by her parents, Guadalupe L. and Guadalupe C. Garcia. Left to cherish her memory is her loving husband,of fifty years, Jose Ignacio Ayala; sons, Joe Ayala Jr., Robert Andres Ayala and Anthony Ray Ayala; daughter,Yvonne Marie Ayala; brothers, Robert Garcia, and Frank Garcia (Belinda); sisters, Patricia Lizcano (Modesto) and Mary Alice Garcia; grandchildren, Robert Ayala Jr., Genevieve Ayala, Candice Hynes ,Sean Hynes Jr. and nine great-grandchildren. Maria loved going to garage sales, gardening, and cooking for others. She loved her yearly trips to Dallas and enjoying her grandchildren. Maria will be dearly missed by her family and friends. Visitation will be held at 1:00 p.m. – 9:00 p.m. Thursday, March 28, 2019, at Charlie Marshall Funeral Home located in Aransas Pass, TX. Funeral Service will be held at 10:00 a.m. Friday, March 29,2019, at Charlie Marshall Funeral Home located at 2003 W. Wheeler in Aransas Pass, TX. Christian Burial will follow at Prairie View Cemetery in Aransas Pass, TX.